After more than 15 months of delays, the SEC issued proposed rules and forms that would implement Title III of the JOBS Act on October 23, 2013. Title III will create an exemption from registration under the Securities Act of 1933 for certain “crowdfunding” securities offerings conducted through “crowdfunding intermediaries.” The proposed rules clear up issues that arose from the $1 million capital raise maximum prescribed by Congress in Title III of the JOBS Act as well as the per investor maximums. Under the rules, only securities sold in the crowdfunding offering would count towards an issuer’s $1 million capital raise maximum. They will also permit crowdfunding issuers to rely on the efforts of crowdfunding intermediaries to determine whether an investor has reached the per investor limits prescribed by the statute. As we reach the end of the 90-day period that the SEC provided in seeking public comment on the proposed rules, it is expected that final regulations will be released soon. Once this happens, a new era in raising capital for entrepreneurs and start-up enterprises begins. 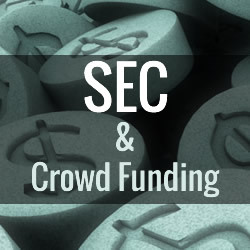 In order to conduct a crowdfunding offering, issuers will be required to file certain information with the SEC and provide this information to investors, potential investors, and the crowdfunding intermediary they’ll be using. An issuer would also be required to provide a narrative discussion of its financial condition covering, among other things, historic results of operations and liquidity and capital resources. This narrative will be similar to – yet not as detailed as – a Management Discussion and Analysis, which provides an explanation from management of how an entity has performed in the past, its financial condition and future prospects. and the offering price and how it was determined. The disclosure of certain information not previously required by the JOBS Act will now also be required, such as the number of current employees of the issuer, risk factors relating to the offering, the issuers of debt position, and related party transactions. Each issuer will need to file an annual report with the SEC and post it to its website within 120 days of the end of each fiscal year. That report will disclose information about ongoing business and capital-raising activities. In addition, issuers are restricted in their ability to advertise their crowdfunding offering only through a print or electronic notice containing specific limited information. The notice must direct potential investors to the crowdfunding intermediary platform in use, where investors could then access additional information about the offering. However, under the proposed rules, there would be no restriction on an issuer’s ability to communicate with investors or potential investors on the intermediary’s platform, or make communications that do not refer to the terms of the offering (e.g. an issuer can advertise its products or services as long as it doesn’t refer to its crowdfunding offering in the advertisement). These proposed rules bring equity crowdfunding one giant step closer to becoming a reality. The SEC’s final rules are eagerly awaited as they are posed to change the landscape and make the visions of entrepreneurs and start-ups more attainable. 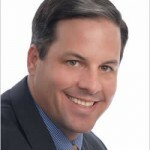 Michael Harrington is a partner with Fox Rothschild LLP concentrating his practice on representing early and growth stage technology, life science and clean tech companies in: corporate finance, private equity, mergers & acquisitions, venture capital, securities, technology law, leveraging intellectual property, taxation, and general corporate matters. He advises on opportunities and complexities of equity crowdfunding enabled by the JOBS ACT.